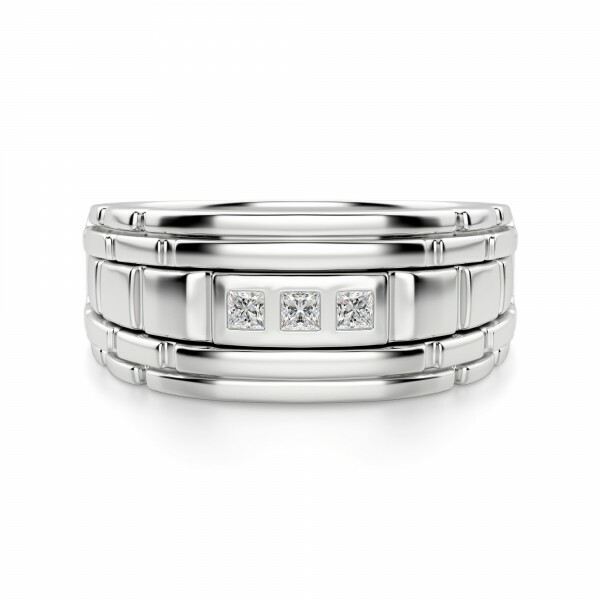 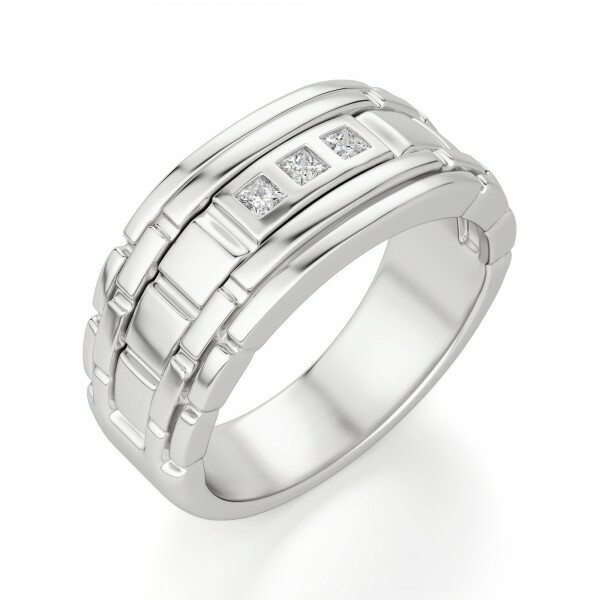 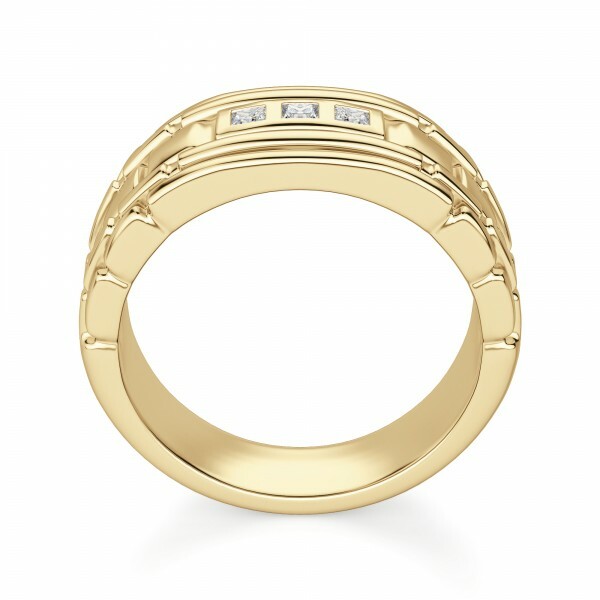 Watchtower Wedding Band was added to your cart. 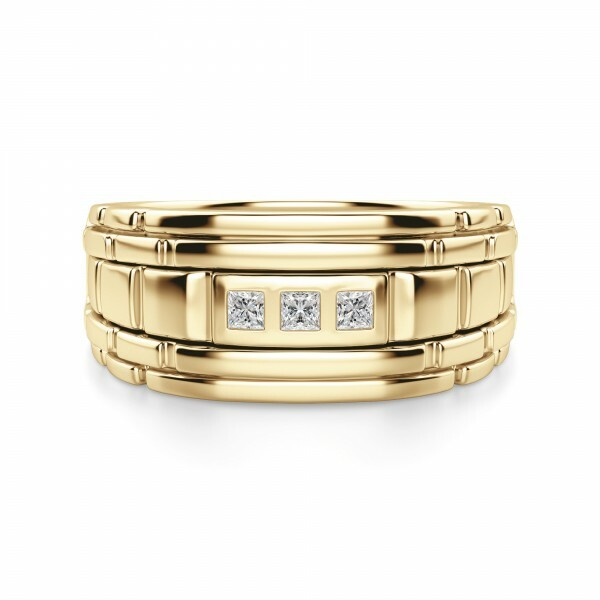 This 14k gold ring is designed to mimic the linked look of a full metal watch band for the perfect blending of masculine styles. Three Princess cut Nexus Diamond alternatives, weighing a total of .18 carats, compliment the straight-edged ridges on either side of the mounting.